Cornerstone was initiated and is part of WEC International, an evangelical and interdenominational mission organisation. 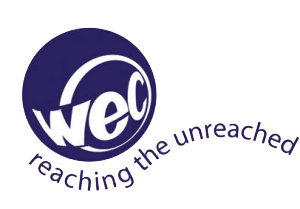 WEC International was founded in 1913 by the well known English pioneer missionary C.T. Studd with the aim of preaching the Good News of the Gospel where people have never heard about Jesus and where there are no churches. WEC International takes the good news to the peoples and nations who have yet to hear it: the good news that Christ came to bring forgiveness of sins and peace with God, and to displace hatred with love. With over 1,800 workers in about 90 countries, WEC is truly an international mission agency. Though Cornerstone is owned by WEC, the college trains people and candidates for many different mission organisations or evangelical aid agencies. Besides Cornerstone, WEC has four other Mission Training Colleges in different parts of the world. To see Christ known, loved and worshipped by the unreached peoples of the world. Proclaim the gospel by word and deed, so that people come to a living faith in Jesus Christ as Saviour and Lord and become his disciples. Gather believers around Christ, establishing churches in the Word of God so that they make disciples in their communities and beyond. Mobilise for missions, recruit, train, send and care for workers in fellowship with the wider Church. WEC International has always been a pioneer mission – sharing Jesus across cultural barriers where he’s least known. Charles Thomas Studd (C.T. as he is usually known) was considered by many to be one of the best athletes of his day. After captaining the English cricket team he began his missionary career as part of the famous Cambridge Seven. 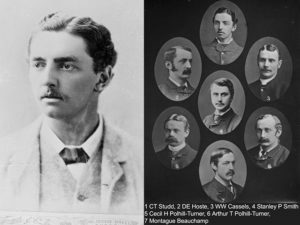 These seven Cambridge university graduates hit the headlines of Edwardian England as wealthy men who turned their backs on a privileged life, to go and preach Christ in inland China. They became examples to thousands of students of choosing purpose over privilege. After 21 years overseas, C.T. was back in England with such poor health that those who saw him described as ‘a museum of diseases’. Nevertheless, one night he saw a meeting advertised with the words ‘Cannibals want missionaries’. Intrigued, he went in, and was challenged by the need of people in the heart of Africa who had never had the opportunity to hear about the Lord Jesus. With no organisation, no money and no support, not even initially from his wife, C.T. Studd sailed alone for Africa in 1910. As a result, what began as the Heart of Africa Mission became, in time, Worldwide Evangelisation for Christ – now a global fellowship of around 1800 workers under the umbrella of WEC International.